The Myotool is an innovative self-massage device designed by two manual Physical Therapists to allow people to treat their own tightness, stiffness, and discomfort- things we all experience sometimes in our bodies. 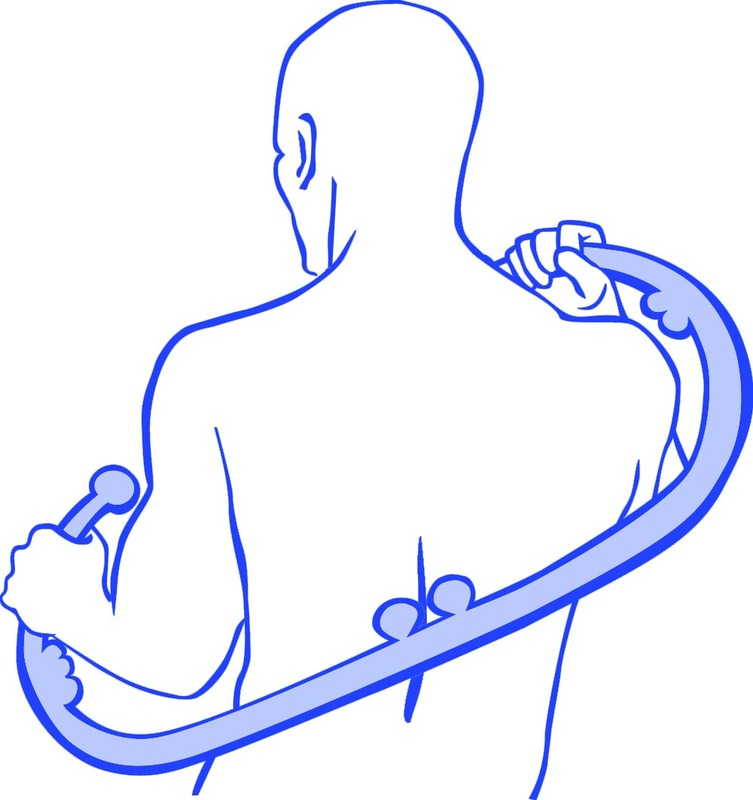 Using the MyoTool provides a benefit similar to the hands-on treatment that people receive at a massage therapy, physical therapy, chiropractic, or osteopathic clinic. The unique shape of the MyoTool allows you to reach and treat all of the muscles, joints, and connective tissues (tendons, ligaments, and fascia) in your body. The knobs are specifically designed and positioned to allow you to apply just the right amount and quality of pressure while treating your body. The MyoTool is easy to use, requires no batteries, and has no moveable parts to break. Best of all – it’s right there whenever you need it.